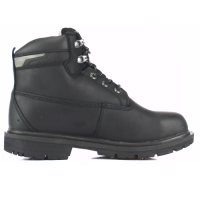 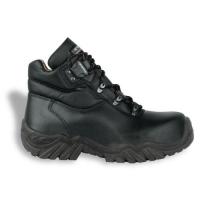 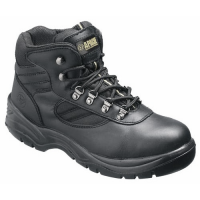 The Cofra Stoppie is a black safety trainer with aluminium toecaps and composite midsole. 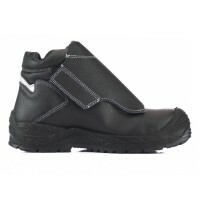 The trainer is made from water repellent leather and lined with breathable fabric. 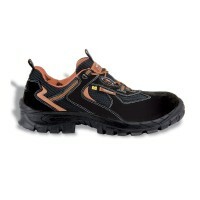 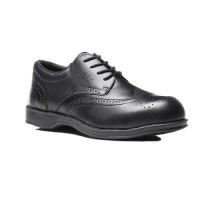 It also has a COFRA-SOFT footbed which maximises comfort and energy absorption. 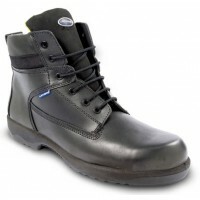 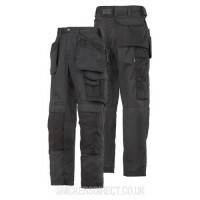 Lining made from 100% polyamide fabric, ladder-proof and abrasion resistant.